Neighborhood Watch: Will Asian Countries Turn a Blind Eye to Uyghur Issues in China? Will any of China’s neighbors speak out against its abuses at home? A major UN review offers a sobering assessment. The Silk Road Economic Belt. The 21st Century Maritime Silk Road. One Belt, One Road. The Belt and Road Initiative. From one year to another, it seems that the ambitions for China’s economic connectivity grow – and with that, the potential risks for host countries. International media outlets have covered the growing wariness toward the Belt and Road Initiative, especially among China’s closest neighbors. Following pledges to review Chinese-invested projects during his campaign, in August newly-elected Malaysian Prime Minister Mahathir Mohamad decided to walk back agreements for two Chinese-invested infrastructure projects, implying that the $22 billion pricetag was unaffordable and akin to a “new version of colonialism.” The government of Myanmar recently signed a memorandum of understanding giving a greenlight to the China-Myanmar Economic Corridor, but not without significant debate among line ministries and concern among local communities about affordability and benefits. The fate of Sri Lanka’s Hambantota port, to which China holds a 99-year lease after the Rajapaksa government defaulted on ballooning loan debt, serves as a cautionary tale. In short, many countries are weighing anew the tradeoff between Chinese investment and other national interests, and finding their voice to say “No.” But will these countries transition from criticism of China’s overseas reach to raising concerns about China’s domestic human rights record? A UN peer-to-peer review of China, undertaken in Geneva yesterday, provided a good testing ground. Called the “Universal Periodic Review” or UPR, this process consists of a presentation by the government under review, and a long list of recommendations from other governments about ways to improve. In China’s rights review, this list maxed out at 153 states. The Chinese delegation presented a rosy view of its domestic situation, grounded in its massive poverty alleviation efforts. They further highlighted China’s growing role abroad, including in South-South cooperation, and the importance they place on multilateral institutions respecting national contexts and sovereignty in the implementation of human rights obligations. Even without consideration of Chinese influence, statements like those above would not cause most Asian governments to even bat an eye. The embrace of a “right to development” for states, and the long-standing assertion of “Asian values,” “national sovereignty,” and “noninterference” are widely shared by governments in the region. However, information from civil society groups and media about the situation in Xinjiang Uyghur Autonomous Region should have been enough to cause some Asian governments pause. Recent reports from diaspora groups, media, and a UN Committee of experts on racial discrimination detail a raft of restrictive provincial and local regulations that restrict religious expression – banning hijab and beards, subjecting religious sites to intense surveillance, and hampering ordinary citizens’ ability to observe the fast during Ramadan, undertake pilgrimage to Mecca, or read the Quran. 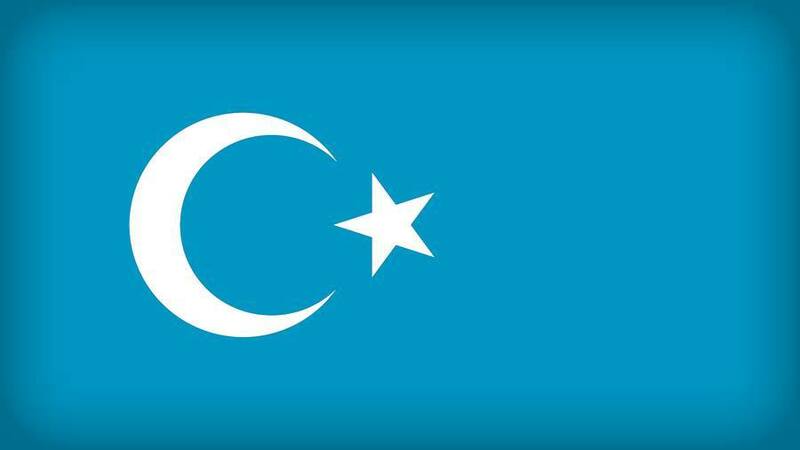 They also indicate that nearly a million Uyghur and other Muslim minorities have been detained in political re-education centers in the western Chinese region, as the most intensive element of a broad “de-extremification” campaign. In a comparable situation, when confronted with discrimination, violence, and – according to another UN expert panel – crimes against humanity against the Rohingya Muslim minority in Myanmar, the member states of the Organization for Islamic Cooperation (OIC) reacted. In regional discussions and in UN fora, the OIC advanced resolutions for an end to the violence and for accountability, the latest of which is currently being negotiated at the General Assembly in New York. A longstanding distaste for “country-specific” resolutions was overcome, and the voting records show some remarkable shifts. If this were about a principled defense of the right for Muslims to practice their religion, it would stand to reason that we would see a similar, if less dramatic, approach to the plight of the Uyghurs. Countries would raise concerns in the context of China’s UPR. However, yesterday, we saw no such thing. Chinese official responses to queries and recommendations from almost exclusively Western governments showed a clear tactic of obfuscation. Citing the need to counter terrorism and extremism, the government trumpeted its efforts to bring development and security to Xinjiang, and claimed that the so-called “vocational training centers” in the province were educational facilities, provided free of charge and with consent, and had “nothing to do with religion.” The prevention of terrorism was a national security prerogative, they said. With this framing, any chance of a clear pushback from the region, similar to what we have seen regarding the Rohingya and deeply important to some domestic constituencies, disappeared. In its place, governments at best avoided the question entirely, or at worst lined up to lend their support. Take Pakistan, for example. Its own citizens are directly affected by the detention policies. The Guardian reported earlier this year on dozens of Pakistani men in the northern region of Gilgit-Baltistan who travel regularly to China and married Uyghur women and have lost touch with their wives and in-laws in the past year as the women, visiting family on holiday in China, end up detained in education centers. And in its recommendations to the Chinese government yesterday, Pakistan urged China to expand the scale of its South-South human rights cooperation (a bilateral engagement that makes many activists wary). Rather than urging China to uphold rights for Muslim minority communities, Pakistan recommended “promoting stability in minority regions through acts against terrorist organizations” – underwriting precisely the kind of heavy-handed surveillance and security that suppresses everyday Uyghur cultural and religious expression. South and Southeast Asian countries, to the letter, applauded China’s poverty alleviation efforts and apparent successes in ensuring economic and social rights for vulnerable groups. Bangladesh urged action on climate change and participation of vulnerable groups in the economy. Similarly, Brunei focused on women, children, the elderly, and the disabled, calling for their inclusion in national development policies. India urged improvements in social security, while Indonesia pressed for maternal healthcare improvements. Malaysia, despite its clear statements at home, contented itself to recommend that China step up international cooperation in protection of persons with disabilities, and curtail gender discrimination. And Myanmar, which at home risks the negative impacts of China’s development efforts, focused merely on child development and poverty reduction. Though Afghanistan, Indonesia, and Laos mentioned religious freedom and ethnic minorities, the vague and general nature of the recommendations makes them nearly impossible to measure. Japan alone in the region spoke clearly to concerns about the treatment of ethnic minorities – as previewed in a general statement in the 39th session of the Human Rights Council – and recommended that China take steps to guarantee freedom of expression, freedom of religious belief (specifically citing Islam), and the human rights and freedoms of ethnic minorities. Asian Values, at a Cost of Universal Principles? The UPR covers all human rights issues; a number of substantive recommendations from Asian governments focused on areas where policy advocates in the country have seen some traction, such as on nondiscrimination, disability rights, and access to education and social security. But the deafening silence by Asian countries on the most pressing issue of the day, in marked contrast to Western governments and Turkey, shows that regional governments have a long way to go before they are in a position to privilege principles over perceived interests when it comes to their biggest neighbor.